Richard Warren Hatch, illus. Marion Freeman Wakeman, New York: New York Review Children’s Collection, pb. 978 1 6813 7288 4, 2018, £9.99, 400pp. 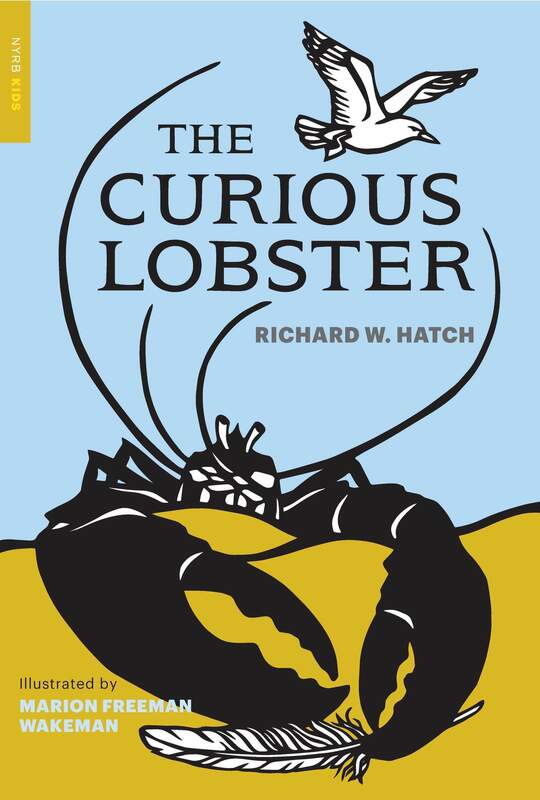 We need first to understand that the adjective ‘curious’ refers to Mr Lobster’s curiosity about the world outside his accustomed ocean home, not to the fact that he is odd in any way. Well, yes, he is odd, as it turns out that he is sixty-eight years old, “An uncommonly ripe age for a lobster”, he told himself, “It is no wonder I know so much”. Talking lobsters aren’t too common either… We can see that he has no small opinion of himself, but he is rather bored with staying in the ocean, and he is determined to travel, and to find new friends. Venturing out of the water onto dry land, not without some trepidation as he encounters the problems that the sun and a lack of salty water can cause a lobster, he is always guided by his opinion that “You can never tell…when some pleasant thing will happen”. He meets three land-dwelling animals, Mr Badger, Mr Owl and Mr Bear, all with very different ideas, and there are frequent differences of opinion, but as Mr Lobster says, “…we have to listen to other people’s ideas to get knowledge”. Despite some hot tempers, particularly that of Mr Bear, and some extraordinary, and dangerous, adventures, they learn to trust each other, value each others’ opinions, and, like Kenneth Grahame’s Mole in his 1908 ‘classic’ The Wind in the Willows, celebrate true friendship and the security of one’s own home. Comparisons have sometimes been made with Grahame’s book. While not as lyrically written or as spiritual as Grahame’s work, Hatch’s stories belong to a similar genre: the anthropomorphic fable which, through adventures described with gentle humour, encourages its readers towards philosophical reflection on their own attitudes and behaviour. Whereas Grahame’s work owes much of its popularity to E.H. Shepard’s illustrations (added only in the 38th edition, in 1931), the Curious Lobster stories benefitted from the onset from Marion Freeman Wakeman’s distinctive pen and ink portraits of underwater and woodland life. These create a pictorial world whose delicate accuracy greatly enhances Hatch’s prose. The British are notoriously protective of their ‘classic’ literature. Asked to name ‘classics’ for children, most could come up with Lewis Carroll’s Alice stories, and Grahame’s riverbank fantasy, if nothing else. Considering ourselves to be the fount of the nineteenth and early twentieth-century excellence in writing for young people, we have rarely sought works from beyond our shores, and thereby missed out on many rich sources of humour, adventure and wisdom. Hatch’s set of stories have attracted a small but dedicated following in the US, and this republication should deservedly widen that attention further, well beyond Mr Lobster’s homeland.